The Taiwanese high-tech manufacturer E-Ten officially announced their new model X500, we reported back at the beginning of the month. 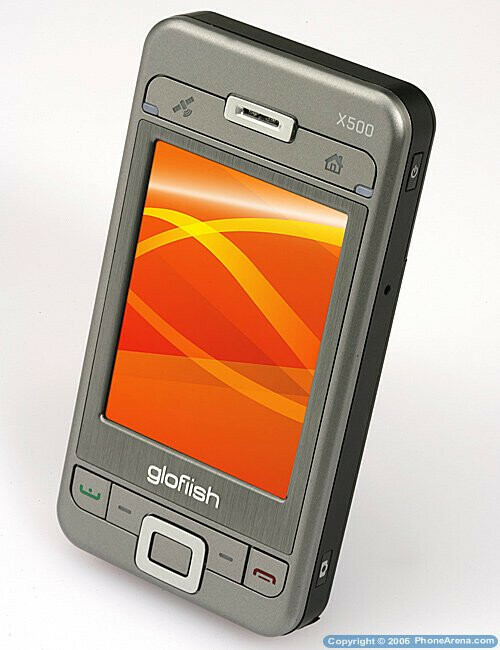 The new Eten golfiish X500 shows the new branding the manufacturer will use for its line of Pocket PC Phones, giving them names after the example of other brands (RAZR, SLVR, ULTRA, etc). The X500 will combine the strong characteristics of previous models, getting the GPS navigation from G500+ and the Wi-Fi (now 802.11b and g) from the M600+, powered by 400MHz Samsung processor and featuring 256MB of on-board memory. The same 2-megapixel camera is kept and so is the Bluetooth v2.0. A nice upgrade to the old GPRS data is the additional EDGE, but unfortunately 3G UMTS (or HSDPA) is still not supported. All this is packed into 15.5mm or 0.6 inch thick body with stylish design.